The Hon. 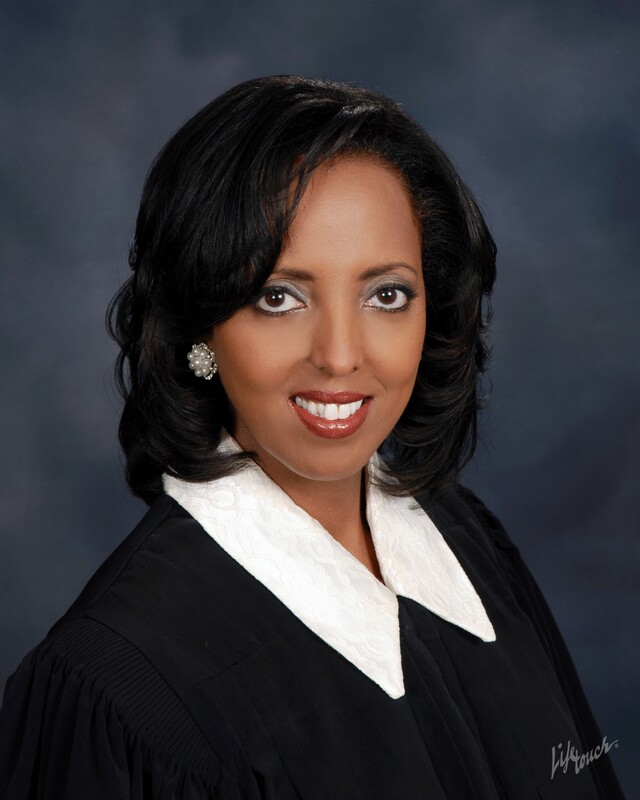 Nina Ashenafi-Richardson (photo), a judge with the Leon County Court system since 2008, is the recipient of the 2019 Distinguished Judicial Service Award. The award, which honors outstanding and sustained service to the public especially as it relates to support of pro bono legal services, will be presented by Chief Justice Charles T. Canady in a Feb. 7 ceremony at the Supreme Court of Florida. In addition to the demands of her court docket, Ashenafi-Richardson averages 15 to 25 hours a week in service to various legal or judicial programs, organizations and statewide committees. Ashenafi-Richardson, who is the first Ethiopian-born person to serve as a judge in the United States, also was the first African-American elected president of the Tallahassee Women Lawyers and the Tallahassee Bar Association. She is immediate past-president of the William H. Stafford American Inn of Court. During her term as president of the Tallahassee Women Lawyers, the organization provided legal assistance through programs such as Law School for Laymen and Living Will workshops. TWL also offered legal counseling to battered women and their children, and mentorship programs for local students. With the Tallahassee Bar Association, Ashenafi-Richardson is a regular leader in a diversity symposium, aimed at high school students in Leon County. The students visit the courts and enjoy a lunch at which they meet local leaders. Ashenafi-Richardson helped in a recent collaboration between the Stafford Inn of Court and the Tallahassee Bar Association, to help the St. Andrews Bay American Inn of Court commit to more pro bono hours in the wake of Hurricane Michael. She also is a member of Founders of Justice of North Florida Legal Services, helping educate the bench, bar and community about the importance of access to justice for all. She recently served on a subcommittee of the Florida Commission on Access to Civil Justice. Ashenafi-Richardson came to the United States from Ethiopia as a young child. Her father was director of the Center for African-American Culture at Florida State University, the same university where Ashenafi-Richardson later would earn her law degree. In 2001, before she was elected to the bench, Ashenafi-Richardson received The Florida Bar President’s Pro Bono Service Award for the 2nd Judicial Circuit. Note: Support of pro bono legal services by members of the bench is an activity that relates to improvement of the administration of justice. Accordingly, a judge may engage in activities intended to encourage attorneys to perform pro bono services, including, but not limited to: participating in events to recognize attorneys who do pro bono work, establishing general procedural or scheduling accommodations for pro bono attorneys as feasible, and acting in an advisory capacity to pro bono programs. This year’s awards ceremony, which also honors individual, circuit, law firm, voluntary bar, young lawyer and federal judicial pro bono efforts, is scheduled for Thursday, Feb. 7, at 3:30 p.m. at the Supreme Court of Florida. The ceremony will be streamed live at http://wfsu.org/gavel2gavel as well as on Facebook at www.facebook.com/floridasupremecourt.